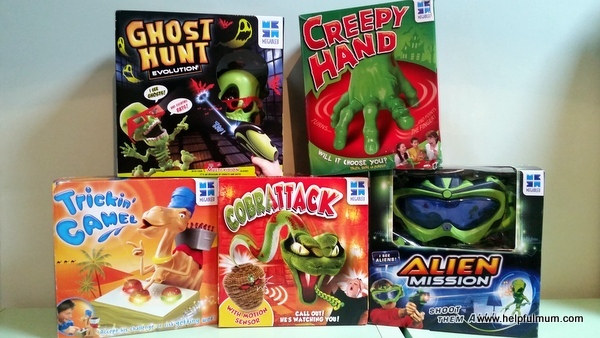 We have recently been trying out a new bundle of games from Megableu. Our absolute favourite from the latest bundle is Cobra Attack. It's a bit like Grandmother's footsteps, which I used to play absolutely loads as a child. 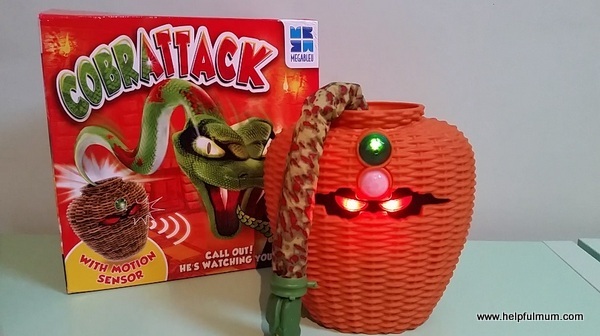 The aim of the game is to steal the jewel without waking the snake. To do this you have to creep towards the basket when the eyes are green. As soon as the eyes turn red, you have to freeze. 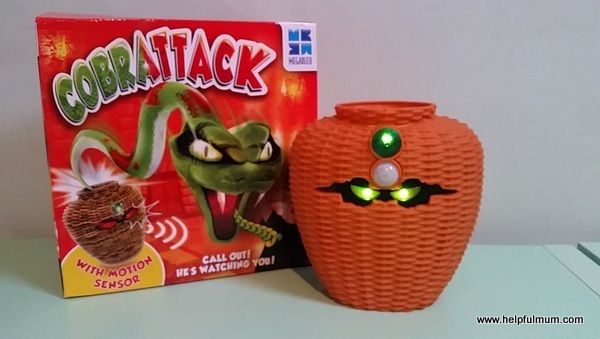 The game has a motion sensor built in to sense any movement. The game requires 4 AA batteries, which are not included. There are three different difficulty settings, the last of which is really hard! Although my son managed to steal the jewel repeatedly even on this most difficult setting. The children took turns to play and the one who wins in the first person who manages to take the jewel fives times. 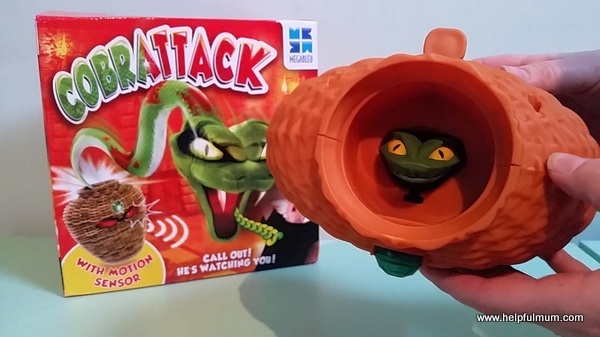 My daughter 'played' the game very differently to the rest of us because she loved making the snake pop out! So she purposely ran around in front of the basket until the snake jumped out. I genuinely found this really difficult. I've decided it's because I am bigger than my children so there is more movement to detect! When you fail to get the jewel and the sensor pick up movement then the cobra flies out of the basket very quickly! This game retails at £24.99 and I would recommend it. All of us have had really good fun playing it! You can watch my video review below. For one lucky reader, I have a huge bundle of Megableu games to giveaway. Enter via the Rafflecopter widget below for your chance to win all these games in time for Christmas! The prize is for a bundle of five Megableu games. Giveaway ends at 12.00am on 07.12.15. You can only enter via Twitter once a day. Duplicate tweets will be removed from the giveaway. Prizes are non-transferable and there is no cash alternative. Megableu have the right to replace the prize with another game/s to those pictured with another of a similar value if necessary. Disclosure: We were sent these Megableu games for the purpose of review. This had no impact on my post, which is honest and fair.